New Zealand’s voting public can expect a wide range of policies, programmes and incentives offered by various political parties as the General Election 2017 enters an exciting and energetic phase. While the polling booths will be open at several places throughout the country on Saturday, September 23 declared as the ‘Election Day,’ Overseas Voting will commence on Wednesday, September 6 and Advanced Voting within New Zealand will start on Monday, September 11, 2017. The ‘Regulated Period’ began on Friday, June 23, 2017 and will remain in force until the completion of polling at 7 pm on Saturday, September 23, 2017. Election Expense limits on advertisements for Parties, Candidates and Third Parties will apply during this three-month period. 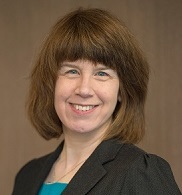 Chief Electoral Officer Alicia Wright said that New Zealand can be proud of a transparent system and that people should have confidence in it. “There are checks and balances in place including rules on Election advertising and the disclosure of donations to parties and candidates. There are limits and rules for political parties and candidates around spending on Election advertising and the identification of promoters, so people know who is behind the advertisements that they see. There are also rules in place for third party (lobby group) advertising during the Election campaign,” she told Indian Newslink in a written response to our questions. According to Transparency International, New Zealand is one of the least corrupt countries in the world. 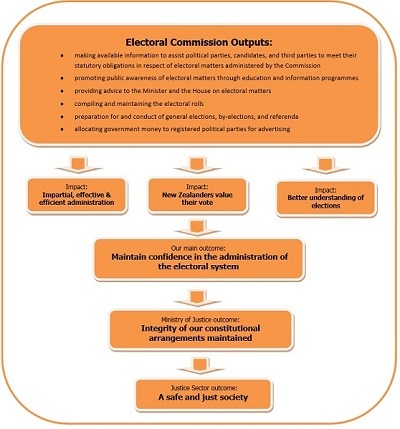 The Electoral Commission is an Independent Crown Entity responsible for voter enrolment and for organising, managing and supervising Parliamentary elections. Ms Wright said that there are multiple sets of eyes on the voting process including many staff, Justices of the Peace, scrutineers representing parties and candidates, and Election day workers from the local community. “Ballot papers are counted twice. The first count is on the Election night and this provides the preliminary Election result. The ballot papers are then counted again during a two-week official count before the final result is declared. Special votes are also counted during this two-week period,” Ms Wright said. She said that the official count takes place in the presence of Justices of the Peace and candidate or party scrutineers who can observe that everything is done as it should be. The process is set out in law, and for good reason, the official count is detailed and meticulous. Ms Wright said that there was no evidence of significant voter fraud in New Zealand. Electoral rolls are scrutinised to identify voters who have voted more than once. “In the 2014 General Election, the Electoral Commission referred 126 cases to the Police where individuals appeared to have voted more than once. This is an extremely small number within the 2,446,279 votes cast,” she said. Every New Zealand citizen and New Zealand Permanent Resident who has lived in New Zealand for more than one year continuously at some point in their life, who is 18 years or older must enrol themselves with the Electoral Commission. While registration is a must, voting is not compulsory in New Zealand, which is one of the reasons for a low turnout in some constituencies. Those eligible can enrol or update their details by filling in an Enrolment Form, which can be downloaded from the Electoral Commission website www.elections.org.nz. The can also be obtained by calling 0800-367656 or by texting your name and address to 3676. The Enrolment Form can also be completed at any advance voting venue from September 11, 2017. The total number of persons enrolled as on that date was 3,153,698, accounting for 88.34% of the eligible population. Ms Wright said that candidates contesting in the General Election must be enrolled as a voter and be a New Zealand citizen. Candidates need not be enrolled in the electorate from which they are seeking election. There are two ways that electorate candidates are nominated. Registered political parties can lodge a bulk nomination for all their electorate candidates with the Electoral Commission, or individual nominations can be made to the Returning Officer in an electorate. List candidates are nominated by registered political parties supplying a list to the Electoral Commission. The deadline for bulk nominations from parties is midday on Monday, August 28, 2017. The deadline for individual nominations to Returning Officers is midday on Tuesday, August 29, 2017. The deadline for party lists to be supplied to the Commission is midday on Monday August 28, 2017. “The Electoral Commission is confident about the security of its systems and the measures in place to protect the vote. Each electoral cycle, the Commission reviews and tests its systems to make sure they are ready for the Election,” Ms Wright said.